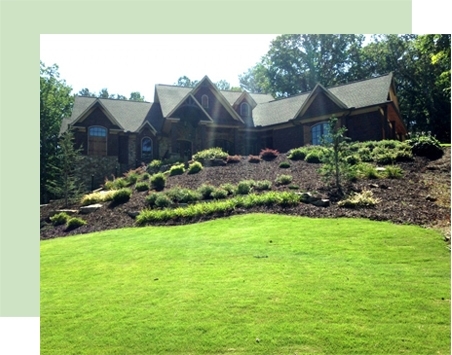 TurfPride Lawncare is the top source for Georgia property owners to enroll in custom lawn care. We take great pride in our knowledge, our experience, our specialized expertise, and our reputation for excellence. We excel not only in facilitating beautiful lawns, but in providing stellar customer care for both our residential and commercial clients in Georgia. One of the ways we do this is by providing totally customized lawn care. We are headquartered in Kennesaw, GA, and serving the greater Atlanta area including Marietta, Dunwoody, Alpharetta, and Sandy Springs. We offer residential and commercial clients in these areas the benefit of our Signature Lawncare Program, which we customize to your property’s turf needs. The TurfPride Signature Lawncare Program begins with a lawn analysis by our professional technicians to determine the requirements for your customized lawn care program, followed by regular treatments. Our analysis determines the optimal lawncare treatments for your landscape. This analysis combined with our customized lawn care plan is what makes us one of the best lawn care companies in the entire state. Once you enroll in our lawn treatment program, we will set up a yearly, seasonal schedule for maintaining the health and beauty of your lawn. The TurfPride Signature Lawncare Program provides 8 individual treatments per year. This comprehensive program is specially designed for the Atlanta area and Georgia climate. We schedule these treatments at intervals of 5 to 7 weeks and provide both an annual fertility program as well as weed control. 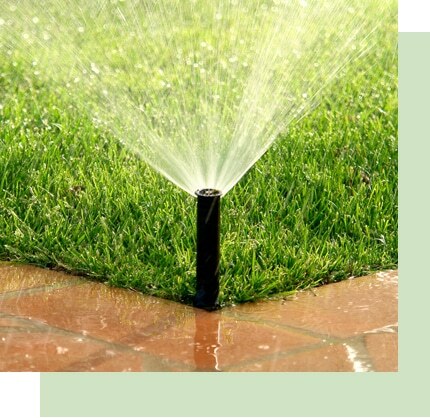 We also utilize our special blend of lawn care fertilizer to nourish the soil and grass. This customized program, coupled with regular watering and mowing, provides your turf with the basics needed for a stunning, healthy lawn throughout the growing season. At these regularly scheduled treatment visits, we can answer your questions and assess your property’s daily and weekly lawn care needs. Ask our specialists for recommendations. We are happy to share our knowledge and expertise to help you achieve the best results. Does your lawn need weed control in the Atlanta,Georgia area? We can take care of it for you! Weed control is one of the most frustrating and time-consuming aspects of maintaining a beautiful lawn. Does your lawn need weed control in the Atlanta, Georgia area? We can take care of it for you. Call us today for more information. We are the best lawn service company to maintain a healthy, weed-free lawn, because we don’t just pull weeds out, we present solutions to long-term problems. With our customized lawn care program and scheduled treatments, we can help you prevent weeds, pests, diseases, and a host of other problems. Contact us now to learn more and request a quote for our services. It’s the first step to achieving a healthy, gorgeous, and low maintenance yard at an affordable cost. We look forward to working with your lawn!